A Mass of Christian Burial will be held at 1 p.m. Wednesday January 23, 2019 at St. Rose Church in Girard, celebrated by Rev. Msgr. 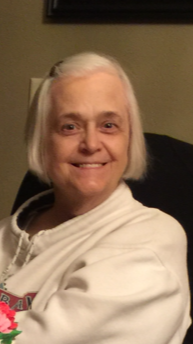 John A. Zuraw, for Geraldine A. Misik, 70, who passed away early Thursday, January 17, 2019, with her family at her side at the Hospice House. Gerry was born February 4, 1948, in Youngstown, a daughter of Leo and Stephanie Kotsol Zura. A lifetime resident of the area, she went to St. Joseph the Provider Grade School and graduated from Campbell Memorial High School. Gerry was an LPN, she worked at Saint Elizabeth Hospital and for the Windsor House, Omni Manor for 28 years, retiring in 2001. She was of Catholic faith, enjoyed playing bingo and spending time with her family and especially her grandchildren, Gerry was a selfless person, who was very dedicated to her family. Gerry is survived by her children who will cherish her memory, her son James Misik of Youngstown, whom she made her home with and her daughter Christine (Michael) Kelly of Canfield and her grandchildren Madilyn; Bridgett and Michael, Jr. Kelly all of Canfield. She also leaves to cherish her memory her brother Leo (Barbara) Zura of Salem and sister Felicia “Lish” Zura of Cotati, CA., and beloved nieces and nephews. Besides her parents she was preceded in death by her son Paul A. Misik who passed away in 2015. Friends and family may call from 11:45 a.m. to 12:45 p.m. Wednesday at St. Rose Church 48 E. Main St. Girard, Ohio 44420.